NIGERIAN SENATOR IS BEHIND BOKO HARAM? 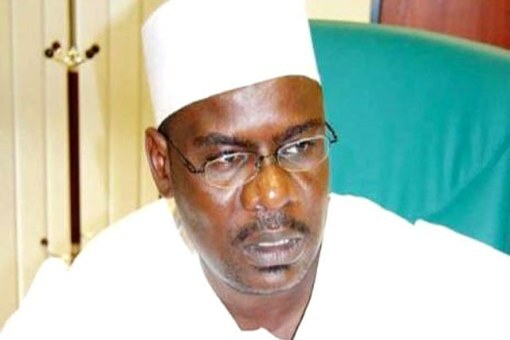 Detained People Democratic Party Senator, Mohammed Ali Ndume from Borno has confessed to knowing the spokesperson of the dreaded Boko Haram sect operating in the northeastern parts of Nigeria. Senator Ndume represents Borno South Senatorial District at the Nigerian senate. The Boko Haram spokesperson was arrested and paraded in public yesterday by the Nigerian secret police, State Security Services (SSS). Sources at the SSS told Saharareporters that the PDP senator finally admitted that a relationship existed between him and Boko Haram but claimed he was too “scared” to tell it to security agencies. The source also stated that some Senators had began putting pressure on the SSS to release the Senator from detention. The SSS yesterday paraded Ali Sauda Umar Konduga (a.k.a Usman al-Zawahiri) who openly spoke to reporters about his involvement with the Boko Haram sect. Konduga was the spokesperson of Boko Haram who claimed responsibility for the suicide bombing attacks on the Nigerian police headquarters and the UN building in Abuja according to our sources.